Color can help make SAS® results, reports, tables, charts and spreadsheets more professional and meaningful. Instead of producing boring and ineffective results, users can enhance the appearance of their output to highlight and draw attention to important data elements and issues, including headings, subheadings, footers, minimum and maximum values, ranges, outliers, special conditions, and other elements. Color can be added to text, foreground, background, row, column, cell, summary, and total with amazing color and traffic lighting scenarios. Topics include exploring an assortment of examples to illustrate the various ways results, documents, reports, tables, charts and spreadsheets can be enhanced with color, effectively add color to PDF, RTF, HTML, and Excel spreadsheet results using PROC PRINT, PROC FREQ, PROC REPORT, PROC TABULATE, and PROC SGPLOT and Output Delivery System (ODS) with style. Institutions of higher education are increasingly depending on data to make evidence based policy decisions. Top level administrators want to see summarized data as key metrics and dashboards are a good way to present such data in a visually appealing way. 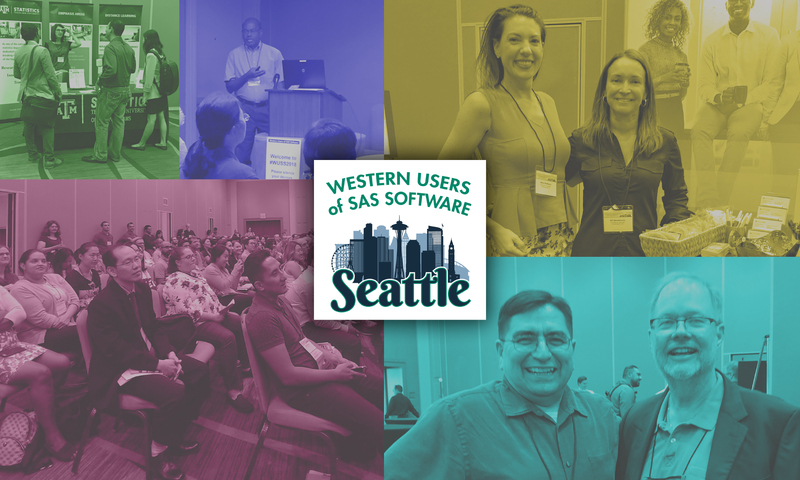 This paper presents the process of building a six-panel dashboard that the office of Institutional Research and Effectiveness of Western Oregon University built with Base SAS® that brings together student enrollment, retention, graduation and degrees awarded. Other charts in the dashboard show revenue and expenditure by source and type and faculty and staff by rank and class. All of the six charts have several levels of drill down capability. The SAS SG procedures are arguably the best tools in SAS for creating and customizing your graphs. In the past, automating the SG procedures may have been complex and tedious. However, many new options have been implemented for the SG procedures beginning with SAS Version 9.4 that promise to make customization and automation even easier. The SAS user is taken through examples that show the improvements and is provided with a road map for successfully leveraging the power of the SAS SG procedures. In today’s world, many of us send our reports via email, sometimes never meeting a client in person. Lengthy reports or dense results may be difficult to follow or even overwhelming for clients, even if we’ve provided everything they’ve asked for (and more!). The number of results pages may be uncontrollable, but fortunately, the organization and display of findings are controllable. The use of table of contents (TOC) and hyperlinks help guide clients through the work we’ve completed by providing structure and connecting related findings. This paper will demonstrate the TOC feature and the use of ODS RTF ANCHORS within PROC ODSTEXT to guide users through one’s RTF report in SAS 9.4. The relative merits and shortcomings of each method will be presented, along with multiple case use examples. These methods are applicable across disciplines, but the examples will come from biostatistics. Attendees should have a basic understanding of the ODS RTF destination and PROC ODSTEXT. Geometric means are a robust and precise way to visualize the central tendency of a data set, particularly when examining skewed data or comparing ratios. Measures of central tendency are predominantly presented as arithmetic means or medians that are relatively simple to calculate and interpret, but may be inaccurate in representing data that are not strictly normal. Geometric means represent the best of both worlds, providing estimates that take into account all the observations in a data set without being influenced by the extremes. They can be applied by SAS® programmers working in multiple industries including business, finance, health care, and research. Examples are varied and include examining compounded interest rates or returns on investments, assessing population changes in longitudinal data, or investigating lognormal data such lab assay results, biological concentrations, or decay rates. Fortunately, there are multiple methods in SAS that can be used to calculate geometric means including the GEOMEAN() function, the geomean keyword in PROC SURVEYMEANS, as well as manual data manipulations such as log transformation combined with PROC MEANS and exponentiation. This paper will explain the utility of geometric means and provide examples for using SAS to calculate geometric means and their measures of variability for your data. A graphical display of the results of a multi-gene panel is an effective means for viewing and understanding the number, types, and clustering of detected genomic alterations. One potential method for creating this display in SAS involves use of the HIGHLOWPLOT statement. The HIGHLOWPLOT statement can be used to create a color-coded grid to display gene panel results for a patient cohort. When this technique is used in combination with other graphical statements, attributes, and definitions, it can create a data-rich display that is both eye-catching and useful as a multi-dimensional summary of gene panel results. This paper contains a stepwise set of instructions for using the HIGHLOWPLOT statement to create a grid, using as an example the results of a next-generation sequencing (NGS) gene panel assay for patients with non-small cell lung cancer. The steps involve use of the SAS Graph Template Language (GTL) and the SGRENDER procedure using SAS 9.4. The HIGHLOWPLOT statement does the heavy lifting in this example, but additional techniques are used to increase the utility of the display, such as a layout lattice, attribute maps, additional scatterplots, and discrete legends. How many of our precious hours on this earth are spent cutting and pasting results into PowerPoint presentations? With the SAS® PowerPoint® ODS destination and some basic macro coding, those days are in the past! The system described herein can transform custom results into standard formats requiring no re-coding, no matter how complex the results. A study of Healthcare administrative claims is used to illustrate the aggregation of transactional data into fact tables. SAS® metadata from the built-in DICTIONARY library is then used to create a results dataset (a key-value pair variation). Finally a macro iterates through the results and sends tables and chart to the PowerPoint® ODS in a ready-to-use format. SAS(r) practitioners are frequently forced to produce SAS output in mandatory formats, such as using a company logo, corporate or regulated government templates and/or cascading style sheet (CSS). SAS provides several tools to enable the production of customized output. Among these tools are the ODS Document Object Model, cascading style sheets, PROC TEMPLATE, and ODS style overrides (usually applied in procedures and/or in originating data.) This paper and presentation investigates "under the hood" of the Output Delivery System destinations and the PROC REPORT procedure and investigates how mastering ODS TRACE DOM and controlling styles with the CSSSTYLE= option, PROC TEMPLATE, and style overrides can satisfy client requirements and enhance ODS output.